The National Nurses in Business Association (NNBA) is driven by our mission to continually provide value for nurses; our members and prospective members. A vital part of that mission is NNBA’s Business Advisory Board. It’s an honor working with our board members as the NNBA benefits from their expertise and scope of knowledge. Each are invaluable resources for NNBA’s future growth, and “The Voice of Nurse Entrepreneurship”. Donna Cardillo, RN, MA CSP®, FAAN, is The Inspiration Nurse. She travels the world helping nurses to be happy in their careers and to reach their full potential. She does this as a keynote speaker, seminar and retreat leader, author, and cut-up. Donna was the original “Dear Donna” columnist at Nurse.com. She is also an Expert Blogger at DoctorOz.com as well as the former Healthcare Careers Expert at Monster.com. Donna is the creator of the trademarked Career Alternatives for Nurses® seminars and home-study program. She is author of 4 books including her newest release: Falling Together: How to Find Balance, Joy, and Meaningful Change When Your Life Seems to be Falling Apart. 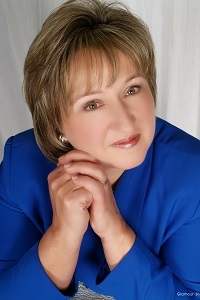 Donna has earned the coveted Certified Speaking Professional (CSP®) designation from the National Speakers Association. She is one of only 26 nurses in the world to hold that credential. Donna has been referred to as the Nurse Whisperer and Rosie the Riveter of the nursing world. Her audiences describe her as a force of nature who leads a path for others to follow. To learn more about Donna, visit www.donnacardillo.com. Keith Carlson, BSN, RN, NC-BC is a holistic career coach for nurses, award-winning nurse blogger, writer, podcaster, social media influencer, keynote speaker, author, and popular career columnist. With more than two decades of nursing experience, Keith deeply understands the issues faced by 21st-century nurses and nurse entrepreneurs. Keith’s podcast, The Nurse Keith Show, offers inspiration and practical support to nurses seeking to create meaningful, satisfying lives and careers. Keith’s message of savvy career management and professional satisfaction reaches tens of thousands of nurses worldwide. He can be found on Facebook, Twitter, LinkedIn, and Instagram—as well as at NurseKeith.com. Dr. Louise Jakubik is a pediatric nursing and workforce development expert. She is a seasoned national speaker, consultant, and author dedicated to building and developing nurses in clinical practice and leadership. She is a leading authority on the pediatric nursing certification review process. Louise received the designation of Certified Speaking Professional (CSP®) by the National Speakers Association; this is the highest international recognition for professional speakers. She is one of fewer than 26 nurses in the world who have earned this designation. 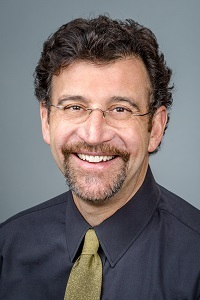 Dr. Jakubik is the president, chief learning officer, and founder of Nurse Builders, a nursing consulting firm specializing in pediatric nursing education and practice. Dr. Jakubik is also the founder of Innovative Mentoring Solutions, an organization dedicated to preparing, supporting, and developing nurses and nursing organizations in the art, science, and wonder of mentoring. She has worked as a nurse entrepreneur and thought leader for over 12 years. She is excited to lend her expertise in mentoring to the NNBA’s Business Advisory Board and to assist in facilitating the spirit of mentoring nurses in business that is at the heart of the work for which NNBA is known. To learn more about Louise, visit www.nursebuilders.net. Stella Nsong, RN, CMC, LTCP, is the president of The Six Figures Nurse Academy and is on the New Jersey Elder Care Planning Council. With over two decades of experience as a registered nurse, she practices as a certified professional geriatric care manager and elder care consultant. She is a best selling author, speaker, trainer and healthcare columnist. Stella is the recipient of multiple awards and honors as a business woman and geriatric care manager. She became a syndicated columnist with her famous elder care advice column, the Elder Cliff Report: What Baby Boomers Need to Know About Their Aging Parents. 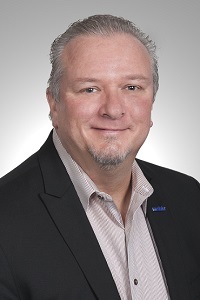 As the CTO of Bloom Service Group, Lou’s expertise is providing infrastructure and software solutions for the variety of businesses within the corporation’s umbrella of service companies. Lou Podlesni has more than 35 years of experience in management, education and programming, with leading providers of information and workflow solutions to the property and casualty claims industry, including the past 15 years in privately owned business applications. Lou’s efforts were focused on healthcare cost containment software and support services, ensuring that the clients’ software met national regulatory compliance and multiple insurance coverage types. Lou’s expertise in situation analysis and continual process improvements created maximized efficiencies and customer loyalty. In addition, for several years Lou co-owned, operated and sold a well-established and profitable senior care company focused on allowing seniors the ability to remain their homes. Lou is highly regarded as a manager who creates working environments where his staffs are highly motivated and superior contributors, and he is proud to have mentored and guided many of his colleagues to progress their careers to achieving executive leadership roles. 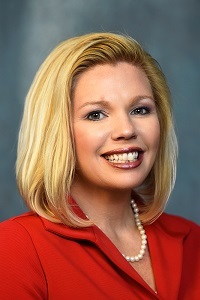 Dr. Renee Thompson is a sought after speaker, author, consultant, and leading authority on creating healthy work forces by eliminating bullying and incivility. 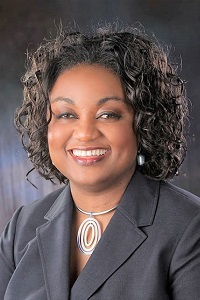 With 27 years as a clinical nurse, nurse educator, quality manager, and nurse executive, Dr. Thompson is an expert on workplace bullying, and spends the majority of her time working with healthcare organizations that want to cultivate a healthy workforce. Unconventional Nurse(R) Michelle Podlesni is a USN Veteran, RN of over 30 years, and former corporate executive whose clinical and entrepreneurial background led to a career in healthcare information technology, medical cost-containment and software development. Michelle brought her service orientation, enthusiasm and diverse expertise to the corporate environment in roles from product development to multiple C-suite executive management positions. With a proven track record of success, Michelle has directly managed the strategic, marketing, operational and technical areas of start-ups and established multi-million dollar companies serving Fortune 500 clients. Michelle has been coaching managers, executives and nurses for the past 20 years and knows the ability to strategically plan career advancement success is crucial for any individual. 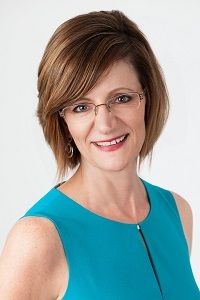 Real-world experience from the bedside to the boardroom and beyond, Michelle’s true passion for mentoring and helping others succeed in business has made her a sought after business coach, speaker, and business advisor. 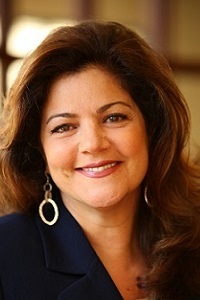 Michelle is the author of the Amazon #1 best-selling book Unconventional Nurse: Going From Burnout to Bliss!® As President of the National Nurses in Business Association , Michelle speaks nationally on Empowering Nurses Through Entrepreneurship. To learn more about Michelle, visit https://nnbanow.com/michelle-podlesni/.